Inventions are nearly as numerous as ideas themselves, but few really give thought to many of them unless they somehow become significant in their own personal lives in some way specific way. So it is with the ‘single-handle faucet’ found in many kitchen sinks and bathrooms across the United States and many parts of the world. The man who invented it just so happened to be an engineering student at the University of Washington and holds over 75 invention patents himself, one of which we all know of and have used ourselves many times – the single-handed faucet. Sometimes things are invented by mistake, some by chance, and some by necessity, but the single handed faucet has a little story behind it that few know about, so I’ll share this small bit of info here. A guy named Al Moen (I’m sure many have heard that name), paid his college tuition working nights in a garage. One evening he burned his hand and rushed over to the sink to poor cold water over it, at that very moment it dawned on him that he would design a faucet that would allow people to get the right amount of hot and cold water that was desired by using a single lever. 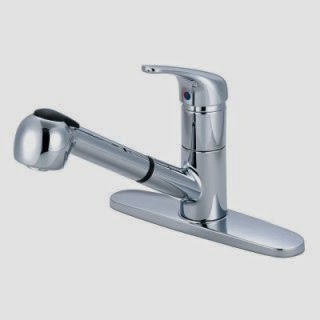 Moen took his invention to a couple manufacturers who told him the approach wouldn't work, so he came up several others before finally ending up with a design that was cylindrical, with a piston action, and in 1947 he sold his first single handed mixing faucet in San Francisco. Since then it has become so popular that it makes up for 40 percent of all facets in homes and businesses throughout the United States.